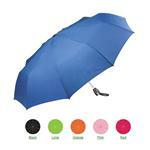 Want a promotional umbrella with style? 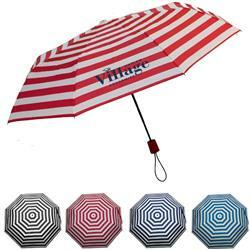 The Newport striped umbrella that folds to a perfect 11 inches in length, auto open feature and stylish colors. 42″ arc. 11″ when closed. Automatic opening. Stripe design. Pongee polyester. Matching color rubber spray handle. Matching sleeve. Production Times Available: Standard 5-Day Production with Paper Proof. FREE RUSH AVAILABLE! Available Imprint Options: Additional imprint colors/locations incur a $1.50 running charge per piece as well as a second setup charge.